Join us for a retelling of the classic children's Christmas book about the joys and challenges of being a child, and a reminder that the simplest, most heartfelt things are the greatest treasures. Dates: Tuesdays and Thursdays, Oct. 2nd-Nov. 29th - 4:30 p.m. – 6:30 p.m. Performances: November 29th, 2018 at 5:30 p.m.
Based on the second volume of stories about Winnie-the-Pooh, written by A. A. Milne, the beloved characters Pooh, Piglet, Owl, Tigger and the rest come to life. They build a house for Eeyore and help Christopher Robin decide if he should run away with his friends, for there is a dark, mysterious threat that he's to be sent away to Education. Dates: Mondays and Wednesdays, Oct. 1st-Nov. 28th - 4:30 p.m. – 6:30 p.m. Performances: December 1st, 2018 at 11:00 am & 3:00 p.m.
What begins as a peaceful summer on the River is soon disrupted by Toad and his obsession with motorcars. After crashing several cars, he then steals one and lands himself in jail. His friends Mole, Badger, and Water Rat make every effort to protect Toad's residence, Toad Hall, but are instead ousted by the Ferrets and Weasels of the Wild Wood. Will Toad regain Toad Hall and learn a lesson about his boastful and impetuous ways? Think you’re funny? Are you a quick-thinker? Would you like to sharpen your comedy skills? 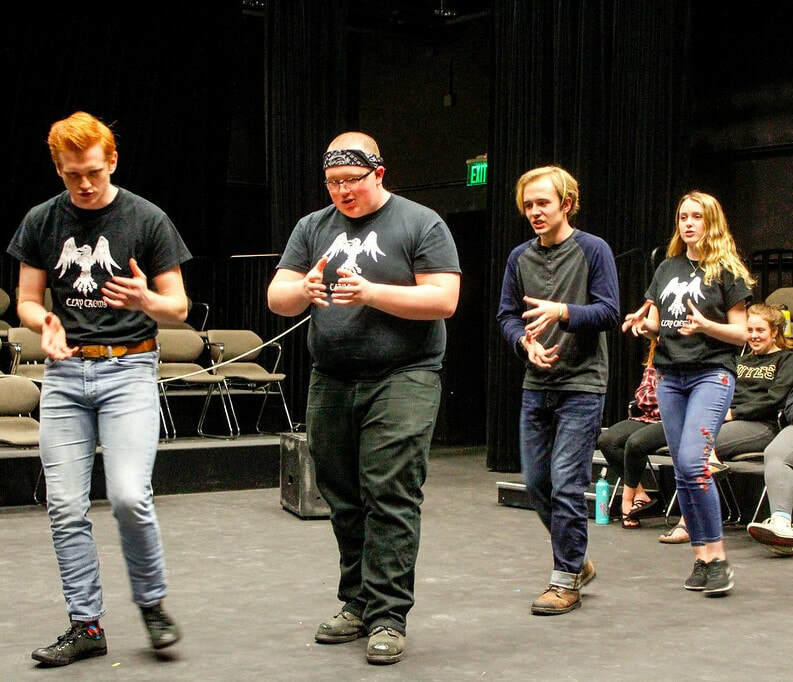 Come take our Improv class! 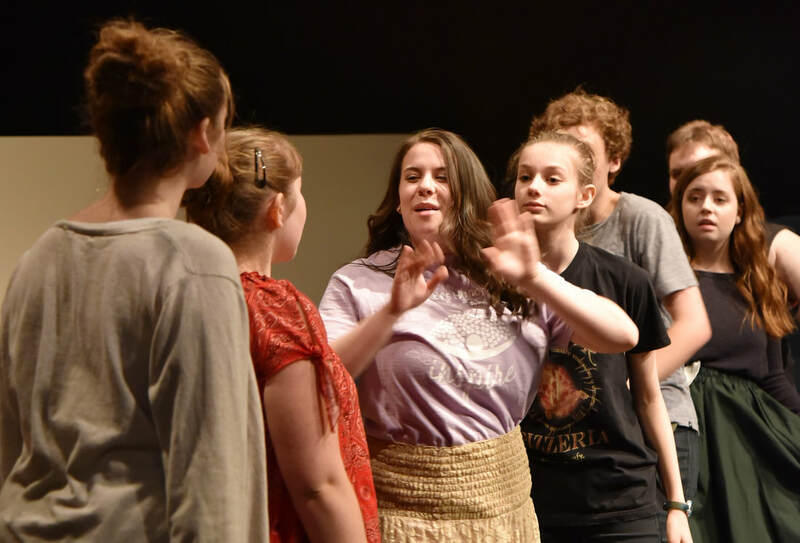 With a fun and supportive environment by using Improv and Comedy, this class will teach your students social skills such as: positivity, communication, teamwork, confidence building, and self-expression. By the end of these 8 weeks your student will have improved social and theatre skills and have many theatre games under their belt! This class is educational and helpful for students of all experience levels. Come and join the fun! Dates: Saturdays, Sept. 29th-Nov. 17th - 1:00 p.m. – 3:00 p.m.
Love “Who’s Line Is It Anyway?” Have you laughed so hard you cried while watching SNL, Mad TV, or Almost Live, (…or In Living Color, or Laugh-In, or the Carol Burnett Show… we could go on…) and wanted to learn how to do Improv? Take our Comedic Improv class and start getting silly! Whether you are a regular at the local theaters or haven’t been on stage since high school, this class is for you! We will focus on basic scene structure skills such as saying “yes and” on stage and in your everyday life. Improv is a skill that every person in any occupation will need or wish they had at some point in their career. This class will teach you the basic skills you need to be comfortable on stage and to be confident in your ability to survive when the scene (or your day) strays from the script. Dates: Saturdays, Sept. 29th-Nov. 17th - 10:00 a.m. – 12:00 p.m.